It is unremarkable that the Old Alleynian poets of First World War were very much in keeping with those who have been more celebrated ever since the guns ceased firing almost a century ago. What characterizes their poetry as with that of Rupert Brooke, Wilfred Owen and Siegfried Sassoon, is its extraordinary tenderness, romantic idealism even of optimism matched as it is by the despair, the horror and human depravity of what they were witnessing and experiencing. A sense of fear and of foreboding compete with a heightened sensibility for their very human being. Equally, Alleynians writing from a distant perspective capture a bewildered curiosity as to what all the chaos would lead to as news trickled back from the Front. There is also a very real sense within their poetry of how they were affected both directly and indirectly by the pains of grief and the hurt of loss. Both groups regularly seek some form of solace in the natural world as if it were a more reliable force to restore order and appeal, sometimes in plaintive prayer, to a divine spirit, to answer their call. Cutting short his Law degree at Oxford in 1915, Rex Freston (at D.C. 1904-6) had already published Quest of Beauty and other poems before being commissioned in the Royal Berkshire Regiment. His sonnet April 1915 had been published in the Times before he departed to the trenches where he survived for a mere ten days. The pale bud slowly bursts the blackened bough. Casts off the husk, and stands up straight and green. Shine forth like stars, and point us out the way. A second volume of his poems The Quest of Truth was published posthumously and the following lines might have been inspired by some strange foreknowledge of the death awaiting him. In that dear land where there are no more tears. Many of his poems contain such a premonition that he was destined to die for his ideals and indeed his country. Another published poet was Alfred Ratcliffe (DC 1903-07) who interrupted his training as a barrister having graduated from Sidney Sussex Cambridge and was present at the Somme offensive at Fricourt in 1916. It was said of him ‘he seemed to live in a higher sphere than the rest of us and to breathe a purer air’. The final verse of Optimism captures several typical characteristics of his contemporary poets and a sense for the sublime. 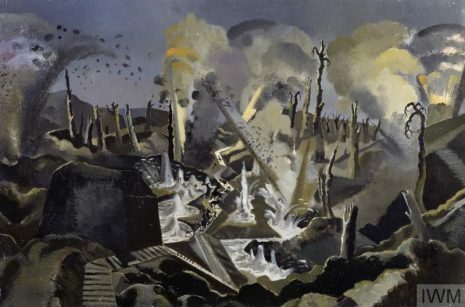 On 1st July 1916, Ratcliffe’s battalion had been virtually annihilated by 9am, trapped between two German trenches, after four waves of attacks. Ratcliffe was one of the 710 casualties that morning. Particular almost photographic imagery transcends time through its immediacy. Nor dreamt would war their fervent beauty mar. Given the tumult occurring in Northern France (and elsewhere) the Editor of the Alleynian (in 1915 it was Paul Jones) was afforded plenty of poetic offerings by Alleynians. Sympathetic tenderness and heartfelt loss become the sinews for their poems. A particularly touching one appears in the June 1916 edition composed by G. W. Knight (DC 1909-14) and dedicated to the memory of A. N. C. Kittermaster, a popular schoolmaster who served as a splendid commanding officer in charge of the College’s Rifle Corps from 1903-1915. Sweet spirit of him I shall not see again? That raised thee higher than thy fellow men? They steadfast spirit to the bitter strife. Though wrapped in grief, why grieve about thy end? An end in keeping with an ideal life. Kittermaster was killed in Mesopotamia in 1916. Knight, one of two great literary brothers, idolised Kittermaster who had a boy’s ideal of dignity and friendliness, with an inspiring approach to anything of nobility in literature or action. Another prolific contributor to the Alleynian was J. L. Surrage (DC 1909-15) who served as a Lieutenant in the 19th Garrison Battalion Hampshire Regiment before going up to read History at Pembroke College, Cambridge. As she kneels by an empty bed. Where a dead son is lying asleep. Cyril Alfred Heckrath (DC 1898-1900) left Dulwich to go to Tasmania in order to grow fruit. He served as a private in the 26th Battalion Australian Infantry. He was killed in action on 14th November 1916. He is memorialised at the Villiers-Bretonneux Memorial, Northern France. The October 1915 edition of the Alleynian contains a poem written from Bridport, Tasmania by Heckrath in which he addresses the men of Australia – a reminder of the wider compass appealed to and held by Alleynians. At parting from children and wife. The men who have fought the good fight. W. J. Addis (DC 1914-22) was one of the first poets to welcome peace in the Alleynian of December 1918. And God was pleased that it was Peace. What unites both old and contemporary Alleynians in their poetic offerings during these tumultuous years is the youthfulness of their voices sobered by what they were experiencing. This produced poems which Sir Arthur Quiller Couch, in his foreword to Armine Wodehouse’s collection ‘On Leave’ referred to as offering ‘ardent meditative beauty’.